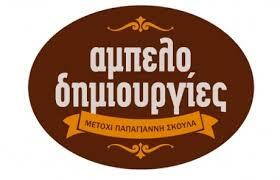 Organic Farming Cretan Soultana Raisins was added to your shopping cart. Delicious organic raisins -Ampelodimiourgies- from Cretan Sultana grapes. An excellent pure product widely considered as a Greek superfood. An excellent pure product of organic farming, widely considered as a Greek superfood. We would like to inform you that the new 2017 harvest is now available. New fresh organic sultana raisins just arrived and you can order online in our e-shop. Our Greek raisins from Crete come from the sultana grape family and are grown in Papagianni Skoula's field in Herakleion Crete. The whole procedure remains organic for both the drying of the raisin and the standardisation of the final product, while the factory where the standardisation takes place is qualified to pack organic raisins from the Greek certification organisation "BIOELLAS". In the organic raisins "Ampelodimiourgies" there are no additives and no perservatives so as to present a product of the highest quality with only the natural aromas and rich flavour of the Cretan sultana raisin present. Add taste and health in your everyday diet with these Cretan organic raisins. They can be consumed plain as a snack or paired with nuts, you can also add them in your breakfast with cornflakes and milk or yogurt, moreover you can enjoy these Greek raisins with rice or in the stuffing of meat. They are also great in fruit and vegetables salads and can be used to make delicious sweets, cakes and rusks. Cretan sultana raisins are packed in a carton box of 200gr. Keep them in a cool and dry place. No need to refrigerate after opening. I am a fan of raisins. In my bag I always carry a small pack of Cretan raisins and almonds. A delicious, healthy snack for my day. I have always prefered the small sultana raisins and I was trying to find them blond and soft. Until some years ago I couldn't find raisins in the market, but these last years there has been a good effort to produce Cretan sultana raisins of high quality. For many years the production of Cretan sultana raisin was abandoned by the Cretan farmers, because of the lack of interest in their product and the large amounts of imported raisins with lower prices and quality. But during the last years the production of Cretan raisins is on the rise again, because the Greeks have started to apreciate their nutritional value and have included them in their every day diet. When I first tasted "Ampelodimiourgies" I really enjoyed them. Full of aromas, slightly blond and with original sultana grape taste. They are also organic and I definitely recommend them to you. I like eating raisins as a daily snack and energy booster. As a matter of fact, I always have a small bag of Cretan sultana raisins and almonds in my bag. Raisins are an important part of the Cretan Mediterranean diet. I have always preferred small sultana raisins and especially the blond soft ones. A few years ago, I had difficulty in finding good quality raisins in the market. However, over the last couple of years, I have noticed an excellent effort by small quality producers around Crete. When I first tasted organic sultana raisins by «Ambelodimiourgies» ( Vineyard Creations in English), I was thrilled by the authentic taste, the slightly blond color and rich aroma and the sun dried softness. I fully recommend this quality organic farming product. Add them to your morning cereal, yogurt, cakes and other desserts.